August 25th – 27th – REGISTER NOW!! Gates open at Noon This Year!! We heard you last year and are changing our entry fees! The camping area will be open to all, however to camp you will need to purchase your site separately from your entry. $10.00 per day in advance or $15.00 at the gate. $20.00 for a weekend pass or $ 25.00 at the gate. Kids under 12 are free, so bring the whole gang!! *This is the fine print. Because this is for a great cause, ALL SALES ARE FINAL and no refunds will be issued. 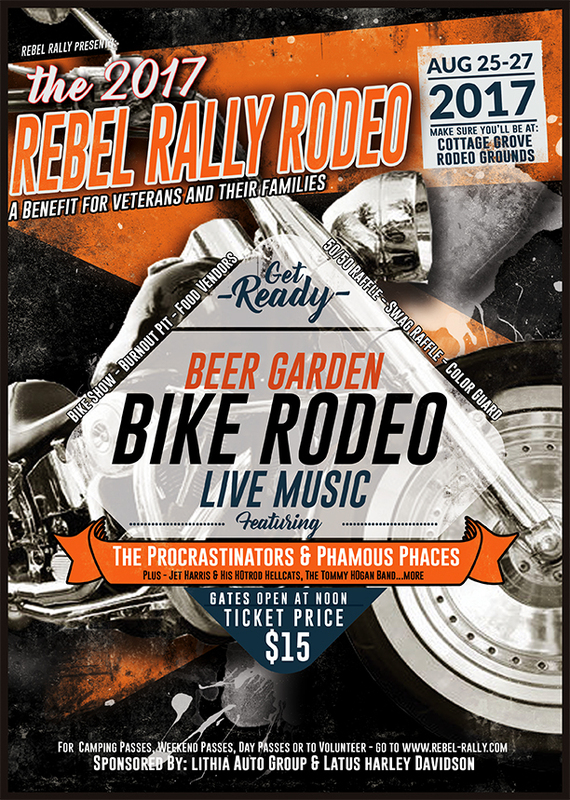 Registration must be per person, which means every person who attends the Rebel Rally Rodeo must register. If you are having trouble registering online please call 541-600-4908 – leave a message and we will call you back. 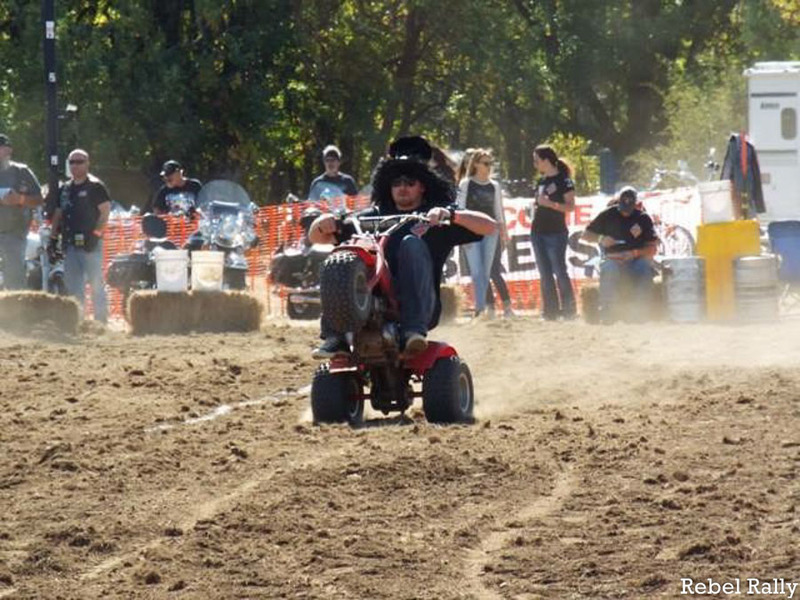 We are an ALL VOLUNTEER organization and have day jobs as well….please be patient as we try and make this the Best Event of the Year in Lane County Oregon! !